Open to students who have a current BLS and PALS. A valid BLS is required upon arrival at the course. Exceptions may be made for those who have expired PALS certificates and are made on a case by case basis. Students have to obtain permission from the course instructor to attend. 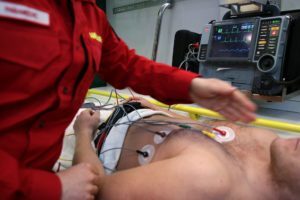 Basic Life Support (BLS) is the foundation for saving lives after cardiac arrest. 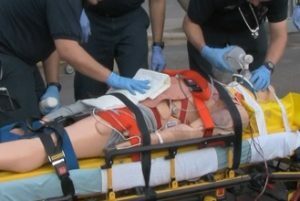 It is designed for healthcare providers and trained first responders who provide care to patients in a wide variety of settings and teaches both single-rescuer and team basic life support skills for application in pre-hospital and in-facility settings. Open to students who have a current BLS and ACLS. 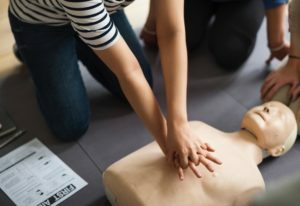 A valid BLS is required upon arrival at the course. Exceptions may be made for those who have expired ACLS certificates and are made on a case by case basis. Students have to obtain permission from the course instructor to attend. PEARS is the lifesaving solution for healthcare, and allied healthcare, professionals who may encounter pediatric emergencies or who infrequently see critically ill or injured infants and children. 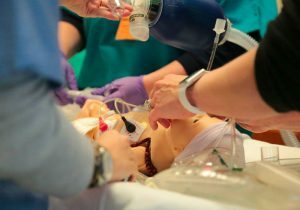 This new program provides the skills to deliver appropriate lifesaving interventions within the initial minutes, until the child is transferred to advanced life support. ITLS Provider includes 8 hours of classroom instruction, 8 hours of hands-on skills training, and testing for ITLS Basic or Advanced certification. Innovative skills stations let you practice the abilities appropriate for your level of certification. Basic level of Wilderness & Remote First Aid that covers material in Standard First Aid & CPR, plus special material on techniques for wilderness and remote areas. Course also offers strategies for providing extended care for up to 24 hours. Part of the course is taught in an outdoor setting and requires greater physical activity and endurance than typical first aid training.